Disney's Hollywood Studios dining options change just as quickly as Best Picture winners! (Too soon?) With the park going through a huge expansion and adding two new themed lands—Star Wars and Toy Story— eateries and menu items have come and gone. Just like Hollywood, the dining options feature familiar reboots and soon-to-be classics. Annnd, action! 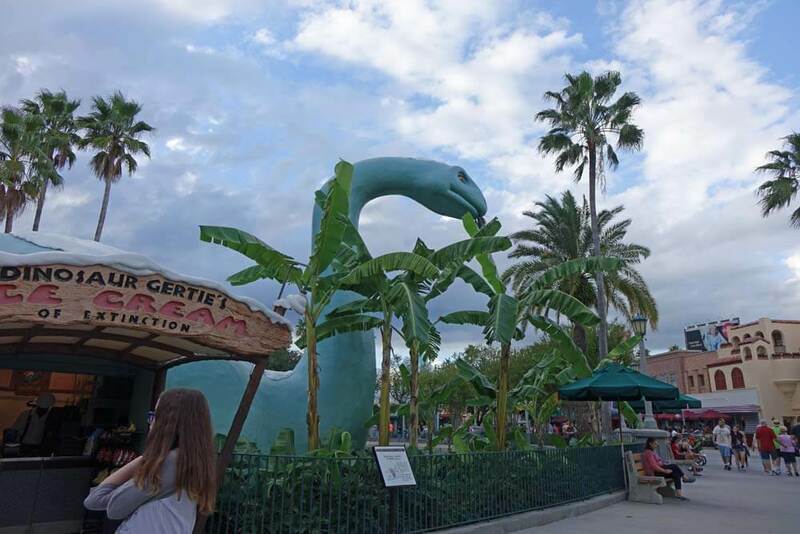 If you’re looking for a sit-down meal that immerses you in the glitz of Old Hollywood or the retro vibe of the golden era of television, Disney’s Hollywood Studios has a collection of favorites that will appease fans of every genre. Kids and Mickey Check meals are available at all of the locations below. Ask your server about accommodations for any special dietary needs. This signature dining experience is on the A-list of Hollywood Studios restaurants. This glamorous replica of the famous eatery in Hollywood, Ca. 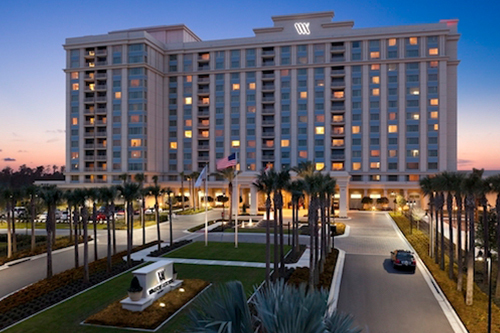 gives guests a truly star-studded experience. 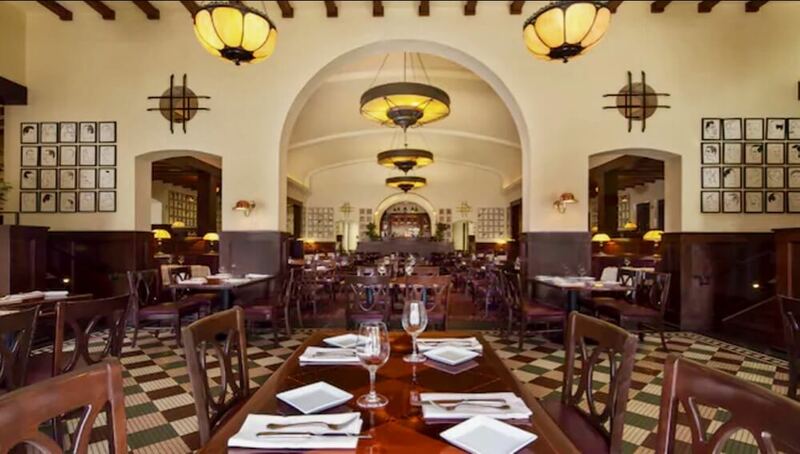 Sit among portraits of stars from Hollywood's golden era as you dine on gourmet dishes, including Brown Derby favorites such as the Famous Cobb Salad and the Brown Derby Original Grapefruit Cake. Just outside on the patio, the Brown Derby Lounge offers a unique selection of appetizers and cocktails, along with select items from the restaurant menu. Enjoy an Artisanal Cheese and Charcuterie Board or Derby Sliders with a classic Mint Julep or Shirley Temple for the kids. The lounge also offers wine, martini, and margarita flights. The Hollywood Brown Derby and Lounge are located at the center of the park near the Great Movie Ride. It’s just like Mama’s in the kitchen, serving up classics of yesteryear at this one-of-a-kind restaurant. This retro eatery comes with a side of humor dished out by your servers. Make sure to keep those elbows off the table! Enjoy comfort food favorites such as Grandma’s Chicken Pot Pie, Dad’s Stuffed Pork Chop and even a 50s Prime Time Café Blue Plate Special. To satisfy your sweet tooth, you’ve got to try the Peanut Butter and Jelly Milk Shake! Next door at the Tune-In Lounge, guests can enjoy the 50s Prime Time Café menu along with a full bar in a distinctly vintage setting. 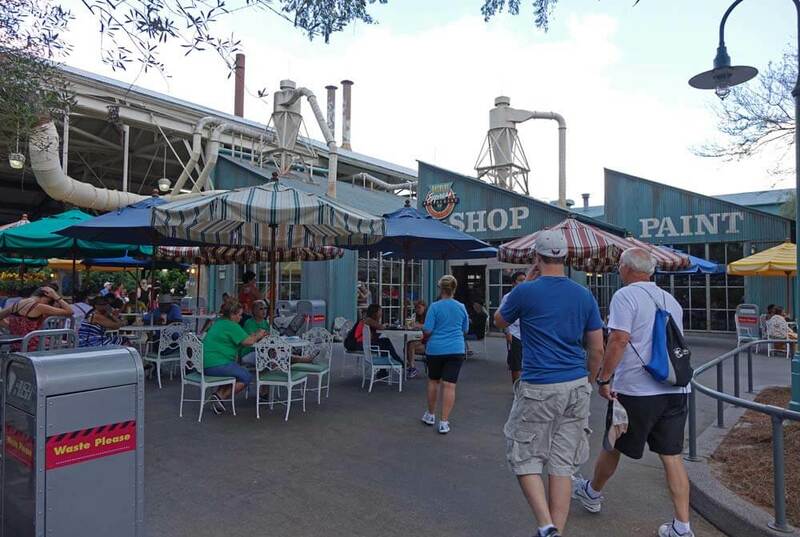 50s Prime Time Café and the Tune-In Lounge are located by Echo Lake near the Indiana Jones Epic Stunt Spectacular. Rumors have been circulating about the status of this classic Italian eatery as areas of the park have closed, but the restaurant remains nestled in the back of the park along with Muppet Vision 3D, PizzeRizzo and the Christmas shop. Come hungry, because the serving sizes are quite hearty from Italian classic dishes such as Oven-baked Chicken alla Parmigiana or Seafood Cioppino to seasonally inspired chef creations. Finish off the meal with a sweet cannoli or tiramisu as you sit under the twinkling terraces. Ever wanted to revisit the old drive-in theaters? 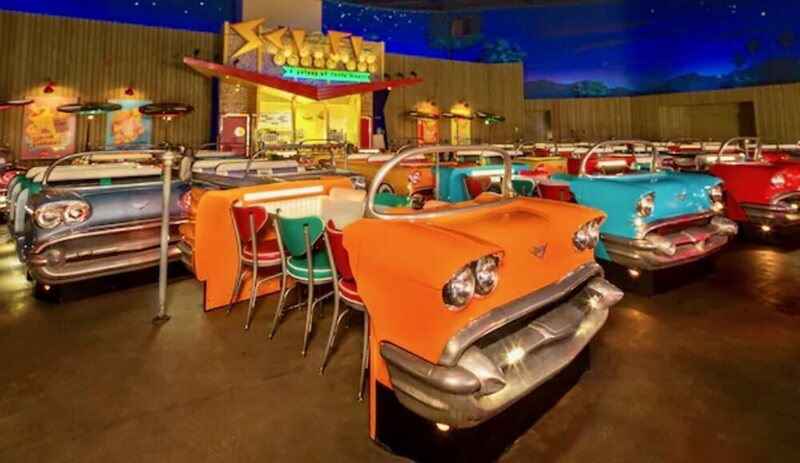 The Sci-Fi Dine-In brings back the classic drive-in atmosphere, down to the roller-skating servers and yummy milkshakes. Nosh on a diverse menu at this Disney's Hollywood Studios dining destination, including everything from a Build-Your-Own-Burger to Vegetarian Shepherd’s Pie, while watching clips from early science fiction films from your Cadillac-style seats. Along with out of this world milkshakes, the restaurant makes it’s own Sci-Fi Candy Bar to satisfy any sweet snack bar craving. Characters abound all day long at this buffet restaurant located off of Hollywood Boulevard. During breakfast and lunch, characters from Disney Junior such as Doc McStuffins, Jake and the Never Land Pirates, and Handy Manny join the party for Disney Junior Play ‘n Dine. Then for dinner, Minnie and friends throw a seasonal bash with food and attire themed to the celebration! Despite shrinking temporarily in size, there’s still a lot of Disney’s Hollywood Studios dining options. 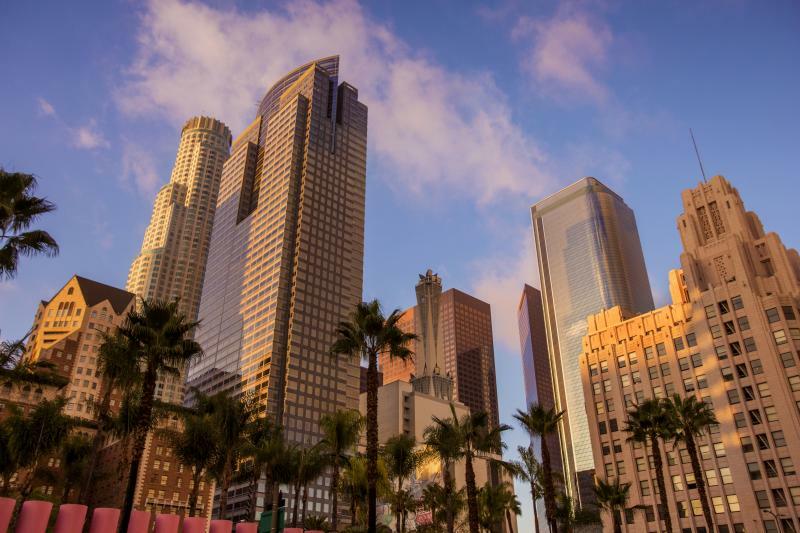 These quick-service locations keep you satisfied and ready for your next big screen adventure. 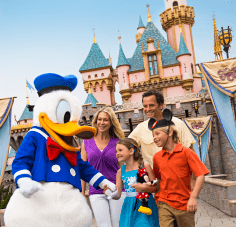 While park offerings change, so do food and beverage choices. Quick-service is where we’ve seen the most menu changing lately. But don’t worry, we're your Guide To The Star's Homes—but for food. 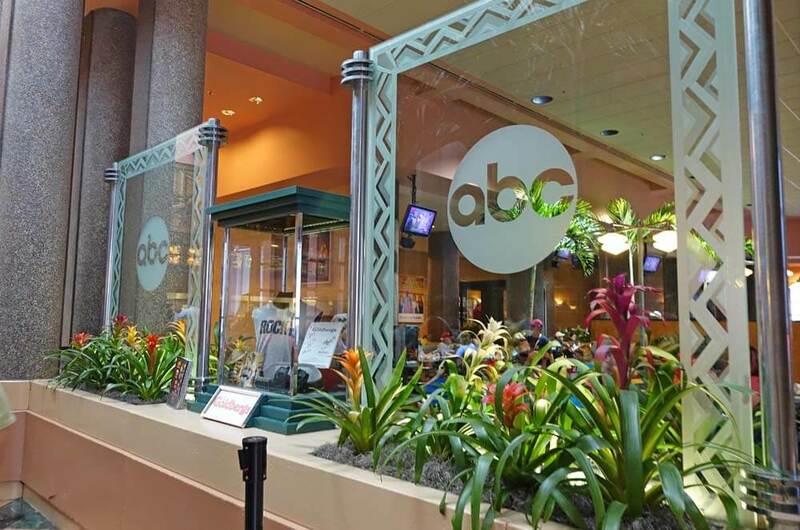 The ABC Commissary is a TV-themed location just behind the Hyperion theater (aka Frozen Sing-a-Long) and next to the Great Movie Ride. This Disney's Hollywood Studios quick-service spot is one of the few with both indoor and outdoor seating. The location offers hearty entrees, including a 1/3-lb. Angus Bacon Cheeseburger, Chicken Nuggets, Chicken and Ribs Combo Platter, and hearty salads served with green beans, apple slices, or fries. The commissary is open for lunch and dinner, with additional selections available during dinner hours. 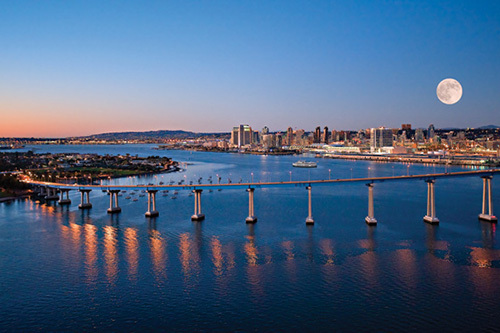 This location also offers allergy-friendly menus and Kosher entrees and desserts. The Backlot Express, nestled between the Indiana Jones Epic Stunt Spectacular and the Jedi Training: Trials of the Temple show, is open for lunch and dinner with plenty of outdoor and limited indoor seating. 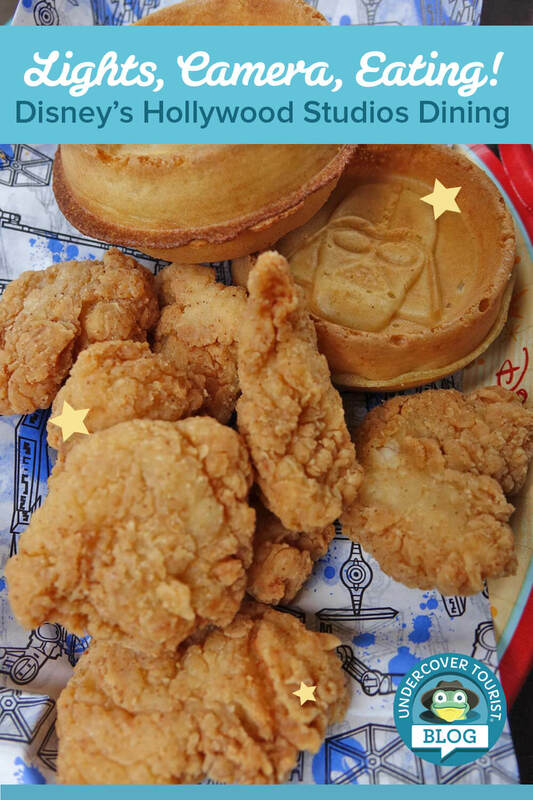 Those strong with the Force can get their Star Wars themed meals here, including the Royal Guard Burger, Dark Side Chicken and Waffles, and Galactic Chicken Salad. You'll also find Star Wars-themed cupcakes featuring Darth Vader or BB-8. BB-Ate? The restaurant also offers a Chili-Cheese Dog, Caprese Sandwich and Chicken Nuggets. Kids Mickey Check Meals and Power Pack are available here as well as an allergy-friendly menu. Min and Bill’s has perhaps undergone the most menu changes this year. This spot once featured offerings of sushi and a much-adored BBQ pork macaroni and cheese. The menu currently serves a Caroline Foot-long Hot Dog with pulled pork and coleslaw served with a side of chips, a Chili-Cheese Foot-long Hot Dog served with chips, Min & Bill’s Pulled Pork Sliders topped with coleslaw and served with chips, and Loaded Chili Cheese Nachos served with guacamole, pico de gallo and sour cream. Although the offerings at this location are somewhat limited, they are enormous! Kids’ meals are also available. The dockside diner offers a seasonal milkshake that is always worth checking out. 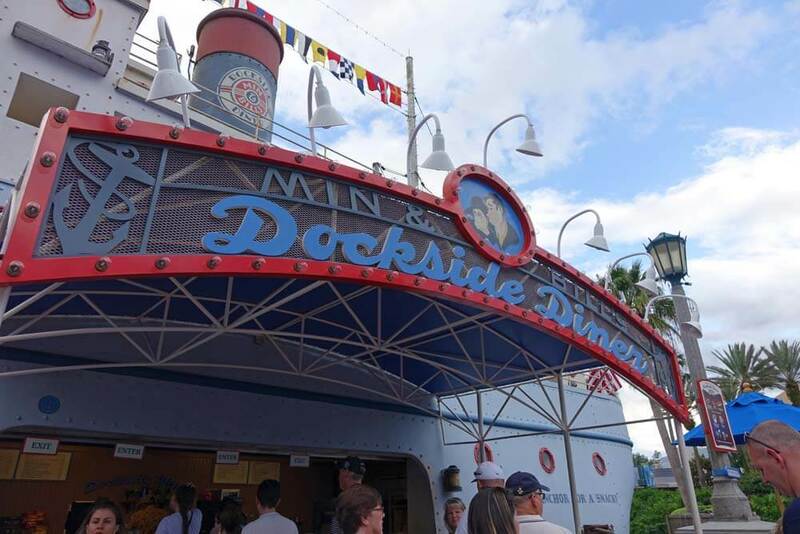 Min and Bill’s Dockside Diner is open for lunch and dinner. The Trolley Car Café is home to the Hollywood Studios Starbucks location. 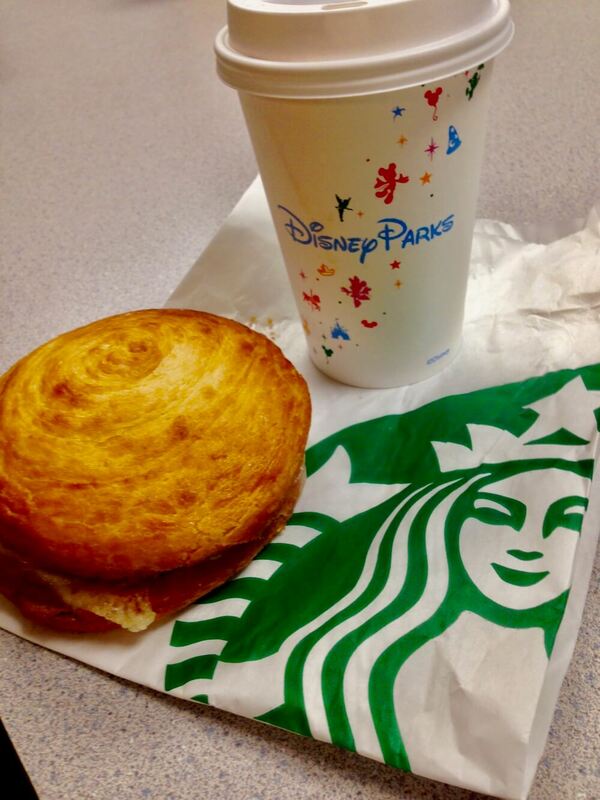 In addition to the Starbucks menu, the location offers quick bites such as sandwiches, salads and fruit cups, as well as Disney-themed cupcakes. There is no indoor seating, only limited seating on the patio area. Trolley Car Café is open throughout park hours and is located on the corner of Hollywood Boulevard and Sunset Boulevard. Also found on Sunset Boulevard, Fairfax Fare adds some Latin flair to American favorites. Offerings include an Empanadas Platter, Fajitas Combo, Fairfax Salad with BBQ Pork, El Pastor Pulled Pork Sandwich, Loaded Baked Potato and Chili-Cheese Foot-long Hot Dog. Kids’ meals are available here. The location is open for lunch and dinner. Rosie’s serves up all-American favorites like a 1/3-lb. Fresh Angus Onion Straw Cheddar Cheeseburger, 1/3-lb. Fresh Angus Cheeseburger, Fried Green Tomato Sandwich and Chicken Nuggets. Kids’ meals are available here as well as an allergy-friendly menu. Rosie’s All-American Café is on Sunset Boulevard and is open for lunch and dinner. This seasonal eatery on Sunset Boulevard is known for its summertime offerings of gourmet hot dogs and cold beverages. For the holiday season, the location serves classic holiday treats and beverages. 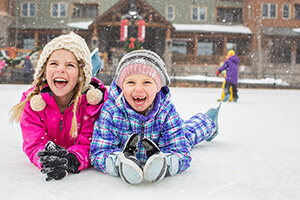 On cooler evenings, grown-ups can savor a Bailey’s Salted Caramel Hot Cocoa while the kids enjoy classic Hot Cocoa topped with whipped cream with their Stollen Bites, Gingerbread Almond Cookies, seasonal cupcakes, and more! As the park undergoes its largest expansion to date, we’re already seeing new offerings and hearing about possible future eateries. Rizzo the Rat and family have brought their famous pizzeria to the Muppet Courtyard! PizzeRizzo is a multi-level quick-service restaurant with lots of indoor seating as well as a covered patio. 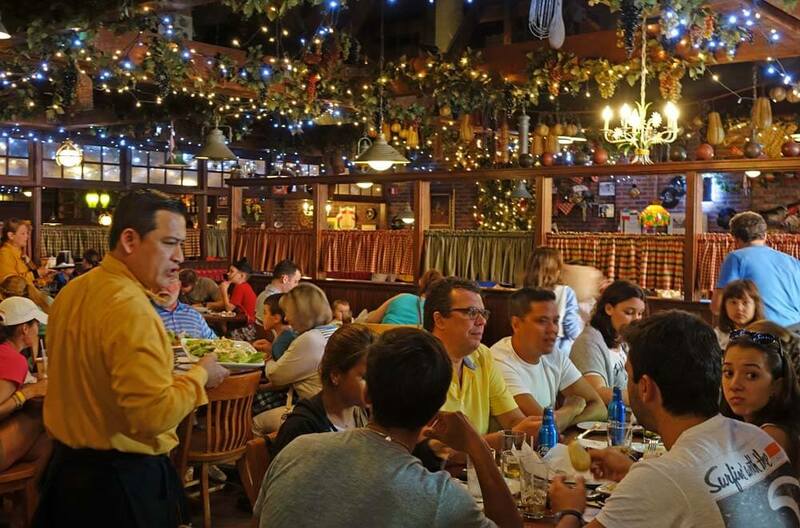 The restaurant serves personal size Vegetable Pizza, Cheese Pizza, Pepperoni Pizza and Meat Lovers Pizza all served with a Caesar Salad. Other options include a Meatball Sub or Antipasto Salad. Kids’ meals are available as well as an expansive allergy-friendly menu including Follow-Your-Heart Vegan Cheese and a gluten-free rice flour crust option. Caesar dressing can be replaced with Balsamic Vinaigrette. For dessert, try a sweet cannoli or tiramisu. The location also has its own drink specials including a Wild-Basil Limoncello Lemonade for the adults and a Non-Alcoholic Peach Bellini for everyone to enjoy! Be sure to check out the décor throughout the restaurant! You might see some of your favorite Muppets or a familiar looking street sign homage to the Streets of America. PizzeRizzo is open for lunch and dinner. Take a tour in Tad's video right here! Food and beverage marketplace – COMING SOON! This fall, Disney announced a food and beverage marketplace will replace the Academy of Television Arts and Sciences Hall of Fame attraction featuring busts of honorees such as Oprah Winfrey, Betty White and Walt Disney himself. Walls have gone up in the area, but there are no details yet as to what types of food will be available or when the marketplace will open. Stay tuned! When hunger strikes between meals or you just can’t resist the smell of those cinnamon roasted nuts, popcorn, or the idea of a warm Mickey pretzel, here is where to go to get your snack fix. Anaheim Produce on Sunset Boulevard offers some of the healthiest snack options in the park, including carrot and celery sticks, fresh fruit, fruit and nut or energy mix, sweet potato or rice chips and more. You can also pick up a Mickey pretzel or churro here! Enjoy a refreshing Frozen Lemonade cup or a craft beer along with your snacks. The huge, green dinosaur that hangs out in Echo Lake is open seasonally serving up soft-serve ice cream. This little cart tucked along Mickey Avenue in Pixar Place (near Toy Story Midway Mania) serves an assortment of snacks including popcorn, Mickey pretzels, granola bars and trail mix, whole fruit and assorted chips. Cool down with ice cream desserts and a selection of hand-scooped flavors at the end of Sunset Boulevard. Enjoy an Apple Crisp a la Mode, Brownie or Ice Cream Sundae, Ice Cream Cookie Sandwich, cups and cones, or a Hard Root Beer Float for the grown-ups. This rockin’ little booth at the exit of Rockin’ Rollercoaster serves hot dogs, chips, and cookies, along with frozen Coca-cola and Barq’s Root Beer treats and specialty adult beverages. The Oasis Canteen next to the Indiana Jones Epic Stunt Spectacular is famous for its funnel cakes and soft-serve ice cream. For a brief time, the funnel cakes were taken off of the menu and replaced with flavored chicken bites. We’re happy to report that the funnel cakes have returned! 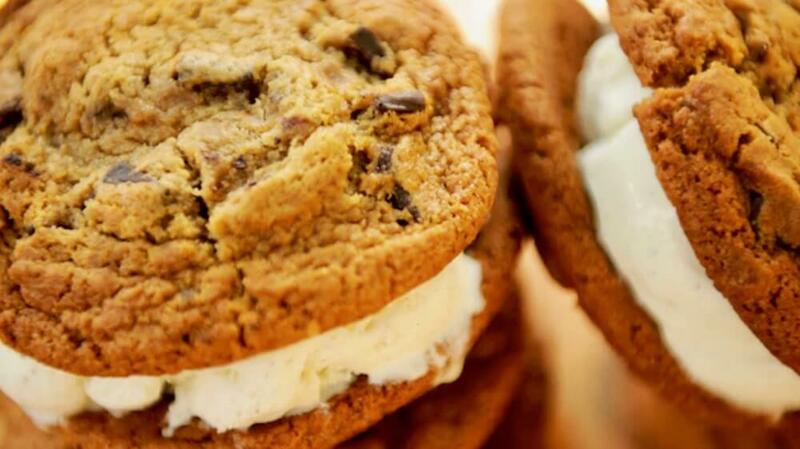 Although Sweet Spells is technically a merchandise location, the shop is home to some of our favorite sweet treats from fudge and whoopie pies to cookies and caramel apples. A new addition to the Sweet Spells lineup is the Writer’s Stop fan favorite Carrot Cake Cookie. These kiosks can be found throughout the park. Pretzels and churros can be found at the exit of the Great Movie Ride. Popcorn is near the Hyperion Theater and near the corner of Hollywood and Sunset Boulevards. Pretzels and popcorn also can be found at the kiosk near the Hollywood Studios archway beside the Hollywood Brown Derby. Those delicious smelling cones of roasted nuts can be found near the Star Tours attraction. Ice cream carts pop up all over with Mickey Bars and frozen chocolate bananas, with carts in each major area of the park. 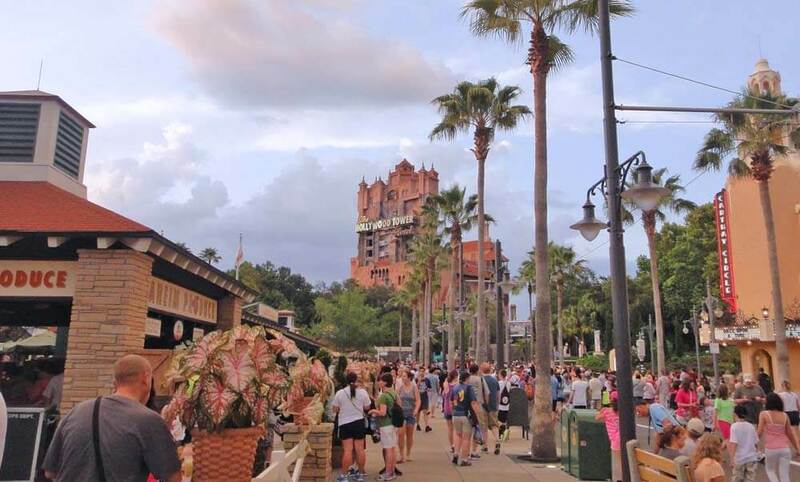 What questions do you have about Disney’s Hollywood Studios dining? 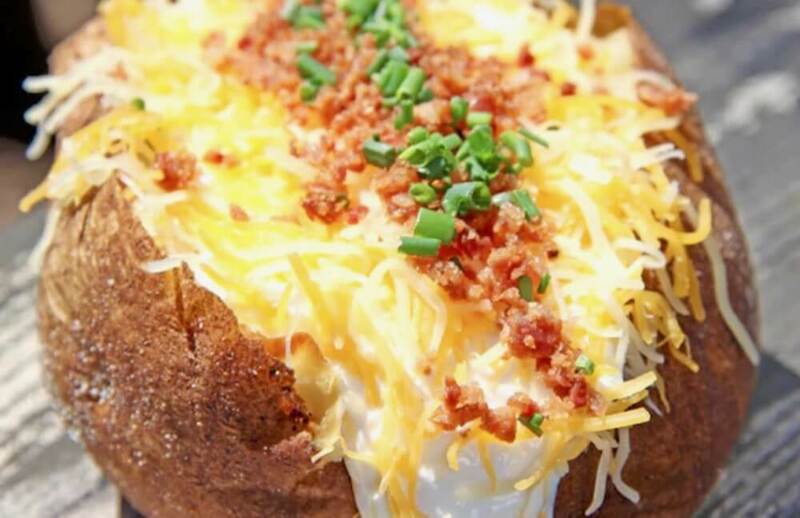 Do you have a favorite dish at the park? Share in the comments!